With a system of cameras and LEDs, the proposed skyscraper named Infinity Tower in South Korea will be able to seemingly disappear in thin air. Bad news is that it's near an airport. 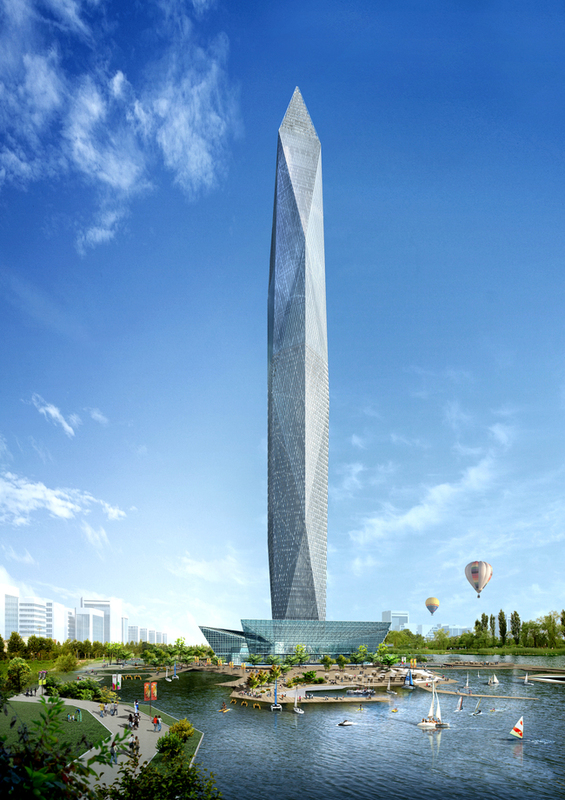 The Infinity Tower design calls for 16 weatherproof cameras distributed at three different heights. The images, after processing, will be projected to 1,500 LED strips to create the illusion of invisibility. The cameras detect the sky and use the images as an invisibility cloak. The effect would only be activated for a few hours each day when weather conditions are good. The invisibility effect won't be used at night because of the lights inside the tower. GDS Architects, in collaboration with Samoo Architects and A&U, is in charge of construction of the tower just outside of Seoul. Their design won the International Idea Competition out of 146 entries from 46 countries in 2008. "Instead of symbolizing prominence as another of the world's tallest and best towers, our solution aims to provide the world's first invisible tower, showcasing innovative Korean technology while encouraging a more global narrative in the process," Charles Wee, design principal of the GDS design team, said. The project needs more funding in order to be completed; invisibility for a large building comes at a high price. The building is due to be completed next year, and it may also include a theme park, restaurants, and an observation deck.